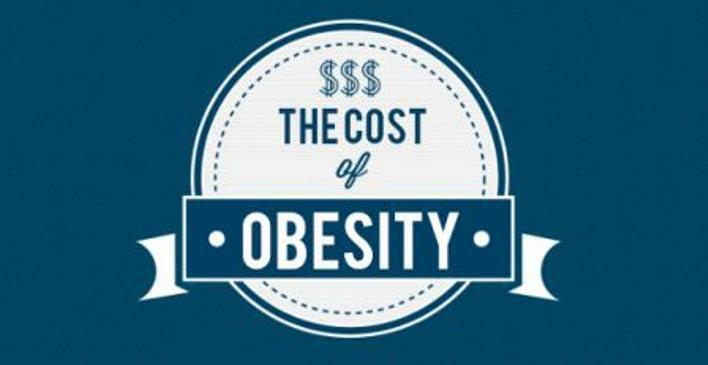 What is the financial cost of obesity? It’s a high one-and more. It’s your health. It’s not being able to do what you want to do. It’s years off your life. It’s doing too young. And obesity is something that is attacking us all-financially. See why in the obesity infographic below. Whether you’re a nutritionist and superior athlete, you’re overweight, or somewhere in between, we are all paying the price of obesity. It’s driving health care costs up, and it’s costing us all. I know the mom was well meaning, and the boy felt bad about being called “fat” by other kids. That’s horrible, and terrible. And I hope bullying gets a lot better–for kids AND adults. Now I as I think upon her words, I think that’s a really bad thing to tell a kid. God wants you to be fat?? No way. God made me fat? Nope. That’s horrible. That would be one of the most defeating and depressing things you could tell someone. That’s no worse than telling someone “God wants you to be stupid”!! I’m trying not to rant here. I’m pointing out the fact that we point to God, genetics, evolution, family history and everything else to excuse our bad eating habits. That does not make the destruction of our bodies any more soothing. It’s just a terrible, horrible, silly coping mechanism. What it’s time for is for us to get off our butts, get active, and learn what things to eat and to not eat. If we don’t, and we don’t help those close to us that are obese, the startling statistics in The Financial Cost of Obesity Infographic below will only continue to grow worse. It’ll cost us years of life, and an enormous amount of dollars. If you have ever complained about rising healthcare costs, you can look below to find out who or what to blame. This is so sad! It certainly does cost the entire nation quite a lot. I’m glad that some cities/states have been making steps toward fostering improvement, though. That speaks in volumes. Thanks for writing about such a ‘touchy’ subject. Regardless of the consequence, we should all understand the costs that obesity carries with it. Hopefully the awareness drives a positive form of peer pressure guiding all of us to healthier lives. Tangentially, this is why I really admire companies like Whole Foods who aspire to make the world healthier.